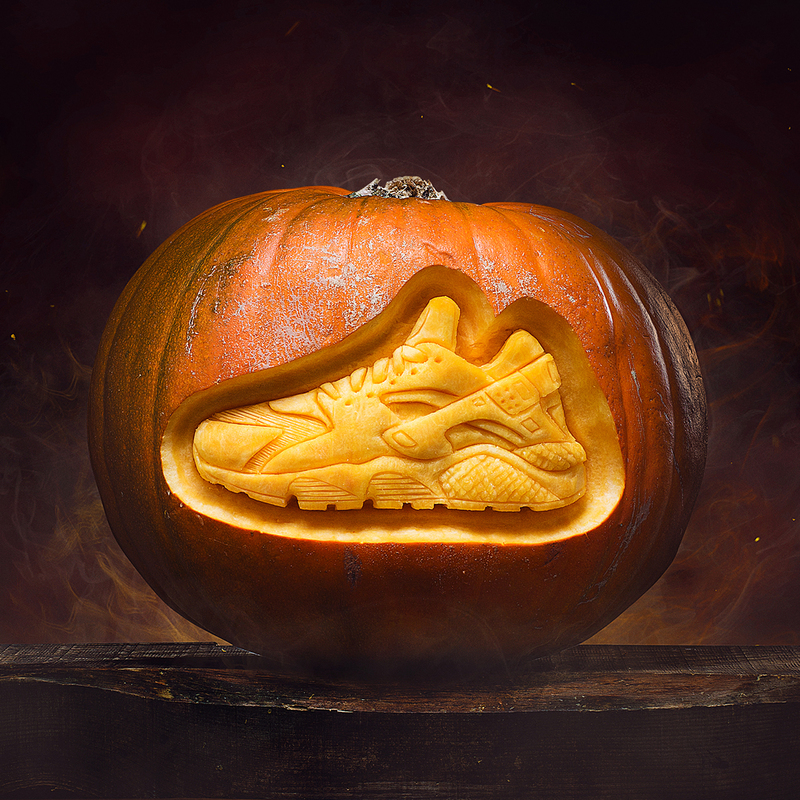 A Nike Huarache Halloween pumpkin carving for JD sports. It was an early morning start at JD Sports Fashion Plc based at the Sharp Project in Manchester. I, Jamie Wardley had been challenged to make a replica Halloween pumpkin carving of a Nike Huarache trainer (size 7). 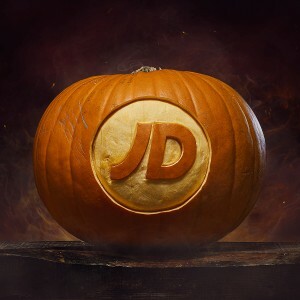 I have never made a replica pumpkin carving before so it was to be quite a challenge, but I was soon to learn that the main challenge was to squat out of the camera shot every 40 seconds so that the time lapse photography did not have the back of my head in it; the pumpkin would appear to magically carve itself! As the pumpkin carving was going to take around 6 or so hours to make this was a lot of squats. 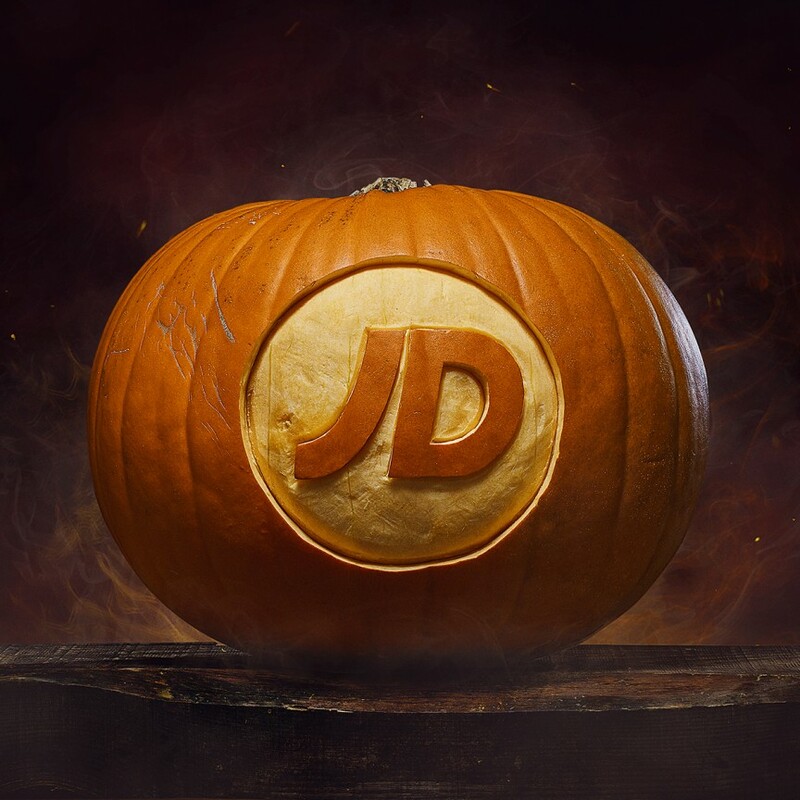 I worked with a very talented team from JD sports, Jon, Mark and Mike. They took care of all the photography and direction and it was another master class photography lesson for me which is always appreciated. They could also see me struggling with my squatterthon so in the end I was offered a cushion so that I could kneel from time to time! Together we made a very nice film for Halloween which I believe has had now over 250,000 views on youtube, so well done chaps. Also, they were to enter the trainer into the pumpkin carving competition at the Sharp Project, so I hope they did OK there!